Every time you write a blog, you need a catchy headline to attract readers, increase clicks and social shares. There are many blog posts published online daily, but how many of them you read or find their headline catchy enough to go through them? It’s really very time consuming to write an appealing blog title that not only engages users but also increases CTR. So, here we find some amazing title generators that offer numerous effective blog headline ideas on your single click. 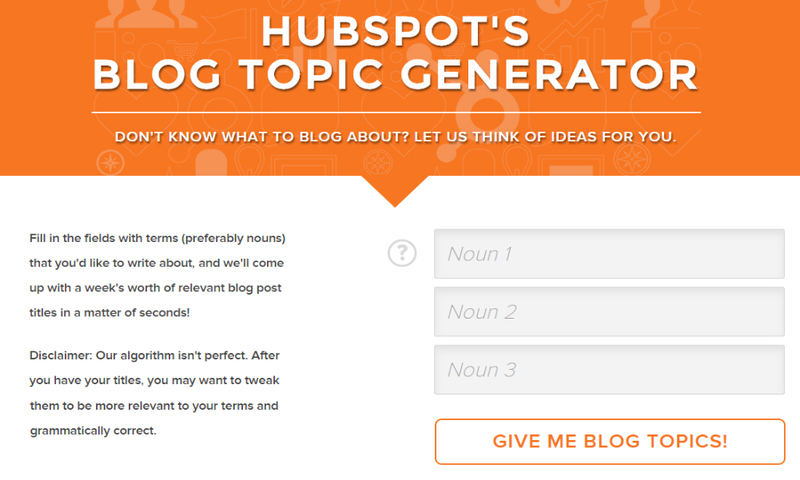 Hubspot’s blog topic generator tool is helpful to generate click-worthy headlines idea for your new blog post. You simply put your best 3 keywords in given sections and click on Give Me Blog Topics. It provides you five titles at a time. If you don’t satisfied with proposed topics, just change the keywords and try again. You can also modify the suggested titles to make it unique and catchy. The best thing you find here, you will find various titles from different categories. Just pick the best that suits your article most. Isn’t it really cool to decide an appealing headline from thousand of suggestions? 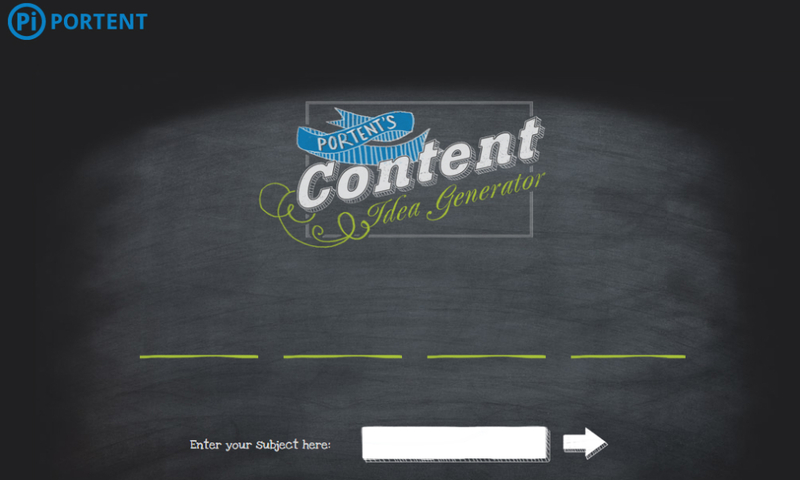 Portent content idea generator is the simplest and handy tool I have ever used. The approach to generating title is very different and easy here. You just place the keyword and hit enter. Isn’t it simple? As suggested on the website, you have to consider 3 things for best results: don’t use capital letters, use singular case and revise result until you get the best. The only drawback I find, you have to refresh result until you get a suitable headline for your blog post. 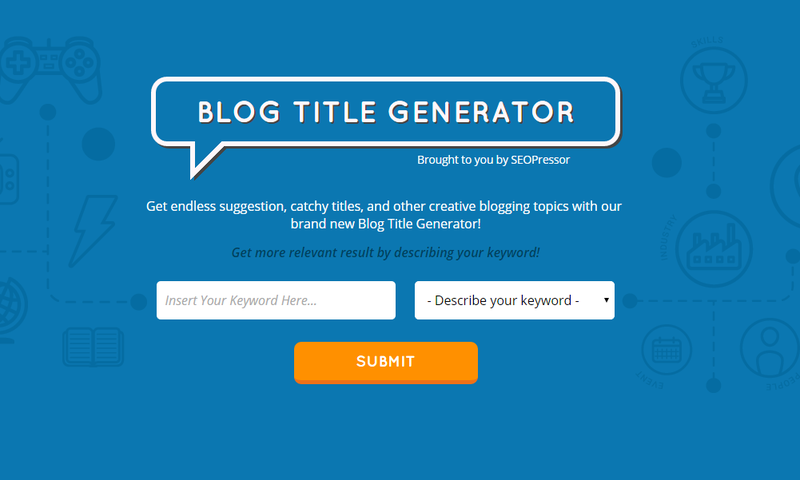 After the great success of WordPress SEO plugin, SEOPressor launched this free title generator to save lots of time of bloggers. Your desired blog title is just three steps far from you. Just enter your keyword, select from 7 already suggested keyword types and hit submit. 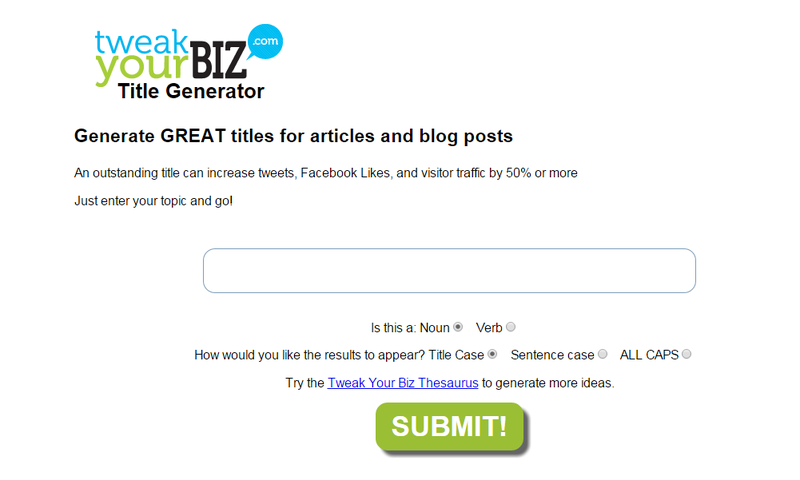 This is how blog title generator by SEOPressor works.